We’re so pleased to bring you this guest post by Julie Russell, Educational Director at the Brooklyn Autism Center (BAC). 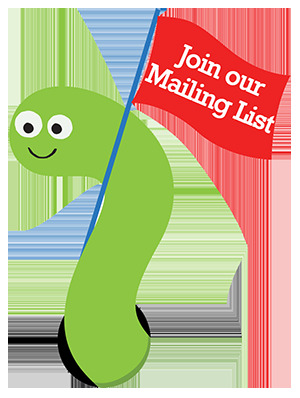 BAC is a not-for-profit ABA school serving children aged 5–21. Here, Julie describes specific, simple strategies for promoting socialization in children on the spectrum. Socialization – defined as a continuing process where an individual acquires a personal identity and learns the norms, values, behavior, and appropriate skills – is a vital part of life. It is also a particularly difficult skill for individuals with autism. Children with autism often struggle with initiating conversation, requesting information, making contextual comments, and listening and responding to others. These difficulties can interfere with the development of friendships for children on the spectrum. 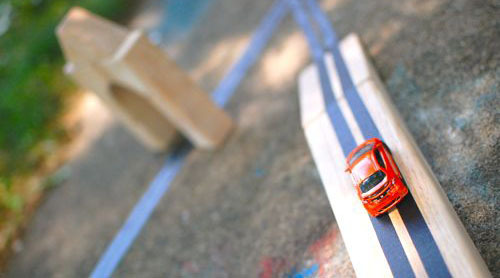 The best way to improve socialization in children with autism is to emphasize play. 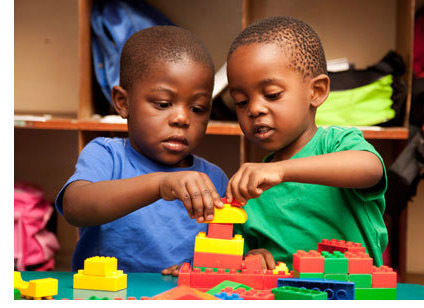 There are several strategies to teach play skills to children on the spectrum that can help them improve socialization and develop friendships. 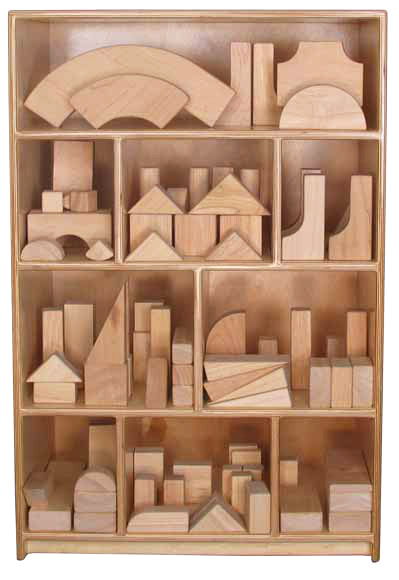 One method of teaching socialization is to condition the typically-developing peer as a reinforcer by pairing the peer with items and activities that are reinforcing for the child with Autism. The peer can give the child with Autism a preferred edible or join in on a preferred activity for the child with autism. If Ben’s (the child with autism) favorite edible is Twizzlers and his preferred activity is completing a puzzle, Adam (his typically developing peer) can offer Ben a Twizzler and join in on completing the puzzle. The typically developing peer is then associated with both the preferred edible and the preferred activity, making Adam a reinforcer for Ben. This method is a great way to make the peer more desirable for the child with autism. The items or activities used for conditioning should only consist of items/activities that the child with autism already enjoys. When trying to introduce a new item or activity to the child with autism, peers should not be included right away. Trying to teach how to play with the item and the peer simultaneously can be confusing and over-stimulating for the child with autism. The child with autism should first be taught how to play appropriately with the age-appropriate activity during individual instruction, and then the peer can be included in the activity once mastery of the activity has been demonstrated. Another way to promote socialization is to engage the child with autism in cooperative games, or any activity that requires interaction where each child has a role that is needed in order to complete the activity. This way, the motivation to engage with the typically developing peer will be higher. When teaching the child with autism how to play cooperative games, such as board games, you can include teaching skills that target turn taking and sharing. Children with autism (or any child) may have difficulties with giving up preferred items/activities, so these may be challenging skills to teach. In order to teach these skills with success, begin by having the child with autism share and take turns with non-preferred items/activities, then gradually fade in more highly preferred items to take turns and share. Evidence-based practices such as social stories, peer modeling, and video modeling are also excellent methods to promote socialization in children with autism. Reading social stories and watching “expert” peers interact will allow children with autism to view and understand appropriate behavior before interacting with a new peer or practicing skills such as turn-taking, requesting information, and listening and responding to others. All of the above methods of promoting socialization are used in Brooklyn Autism Center’s after school program BAC Friends, which pairs our students with typically developing peers from neighboring elementary and middle schools. We also provide additional opportunities for our students to practice peer socialization (along with academic work) during our reverse inclusion program with Hannah Senesh Community Day School. These methods combined with enthusiastic peers have helped our students improve their socialization skills and develop meaningful friendships. Julie holds an M.S. in Applied Behavior Analysis from Simmons College in Boston, Massachusetts and received her BCBA in 2009. She has over 10 years of experience working with children with autism and related developmental differences in centers, schools, school districts and home-based programs. Julie received her supervision hours for board certification in behavior analysis by Dr. Nathan Blenkush, Ph.D., BCBA from JRC in Boston, Massachusetts. She was a Clinical Supervisor at ACES (Center for Applied Behavior Analysis) in San Diego California and Clinical Supervisor at the ELIJA School in Levittown, NY before joining the Brooklyn Autism Center as Educational Director. The end of the school year means more sunshine and fun outdoors. Start the summer holidays with our bright and colorful parachute, and save 15%* when you order it this week with promo code PCHUTE2! 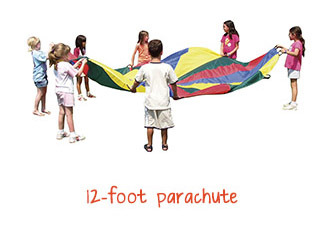 The parachute comes in two different sizes—our 6-foot parachute fits up to 6 (pictured left) and our 12-foot parachute (pictured at the bottom) fits up to 8 children for play. 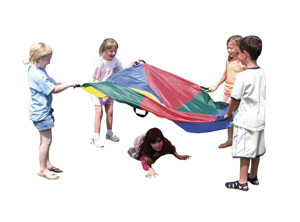 Parachute Play has something for every child. You can teach colors, peer play, and basic prepositions of “over” and “under”. Children love sweeping the parachute up in the air and watching it flutter down. Best of all, it’s just plain fun for all of us! Manding (Requesting) – I frequently use a parachute to have my early learners mand for actions. For example, I’ll have the learner lie down on the parachute, then they have to mand for me to “pick up the handle,” “swing,” “ready, set, go,” or “stop.” I also use the parachute (or a blanket) to teach early learners with autism how to request a parent’s attention. I will have the parent hide behind the parachute, and when the child says “Mommy” or “Daddy” the parent will drop the parachute so he/she is immediately visible and give the child lots of attention in the form of tickles, kisses, verbal praise, etc. Quick Responding – If you are working with learners with autism, the absence of quick responding is sometimes a serious barrier to learning. I have found that using the parachute is a good way to motivate the student to respond quickly when presented with at ask by using it as described above with the song fill-ins. 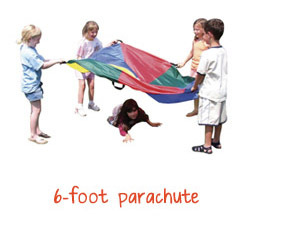 Once I am getting quick responding with the parachute, I quickly begin to work on generalizing the skill to other environments (such as the table or during a floor activity). Don’t forget to save 15%* this week only on your Parachute when you enter or mention promo code PCHUTE2 at check out! *Offer is valid until 11:59pm EDT on July 8th, 2014. Not compatible with any other offers. Be sure there are no spaces or dashes in your code at check out! We’re thrilled to introduce Modified Instructions for Roll & Play, one of our favorite games. 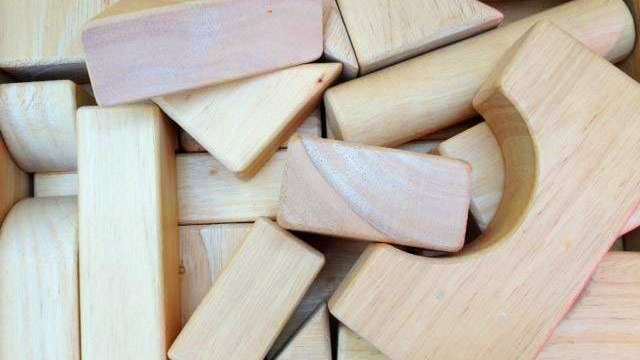 This game helps reinforce patterning skills, creativity, and gross motor skill development in your student. 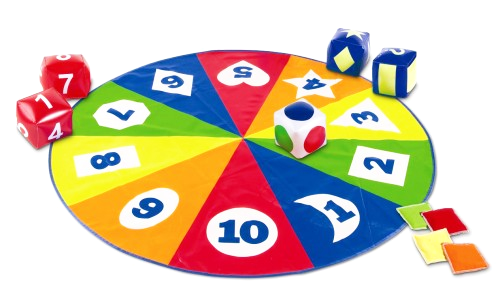 Roll & Play gently introduces young learners to play patterns and rules of a game through interactive activities that encourage creativity and active play. Roll the big, plush cube and identify which colored side faces up. 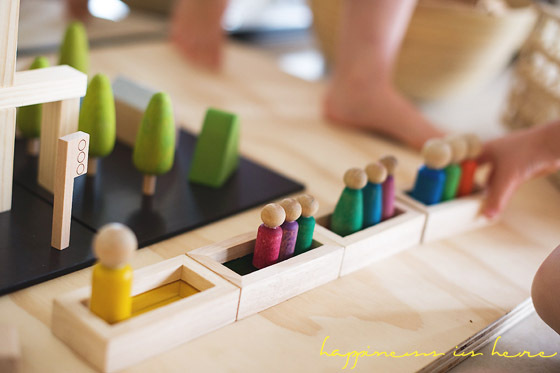 Then, choose a matching color card and perform the simple activity shown. 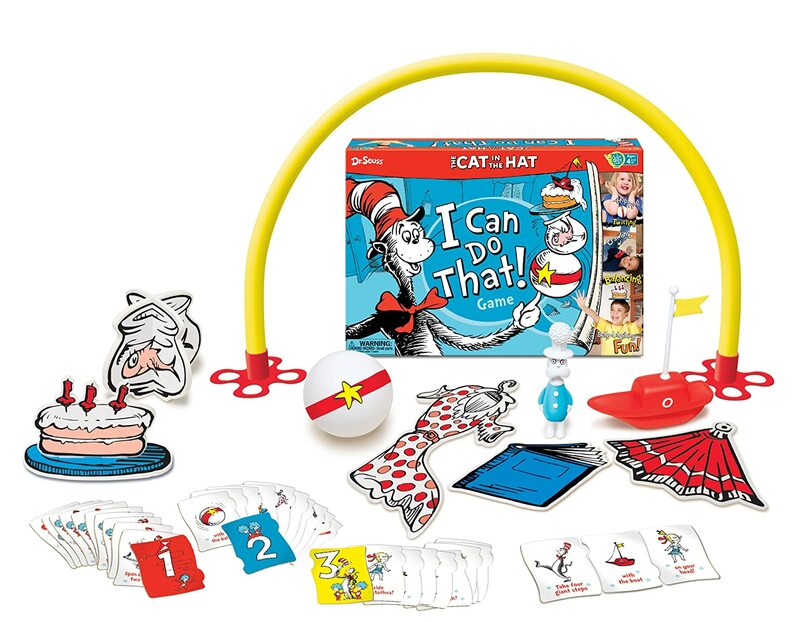 Players will be asked to “Make a happy face,” “Moo like a cow,” and “Find something red.” Activity cards in this game cover 6 categories related to early development: Emotions, Counting, Body Parts, Colors, Animal Sounds, and Actions. Included with the plush cube are 48 cards, 8 in each category, and 1 Parent’s Guide. 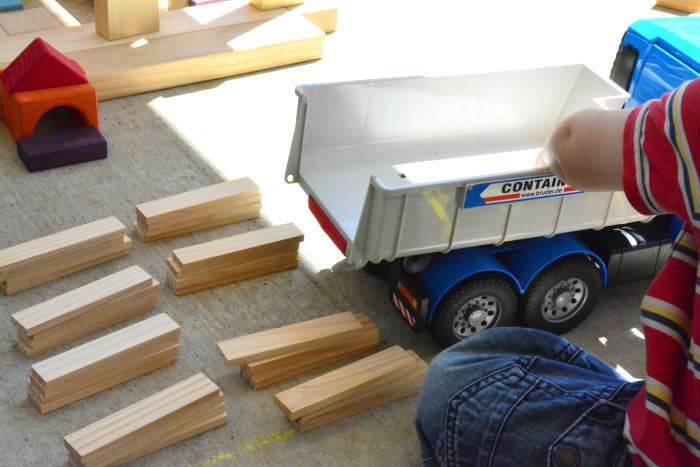 Don’t forget to download our free Modified Instructions for Roll & Play today!